Popular Myrtle Beach Golf courses have taken action with critical steps in preventing last years winterkill damage of courses. Winterkill is a term used to describe grass that is damaged or killed by harsh winter conditions. It affects warm-season grasses, and warm-weather Bermuda is the predominant turf on greens, tees, fairways and roughs in the Carolinas. Only a few of the Myrtle Beach courses had course covers last spring to protect greens from extreme cold and had survived last years harsh winter. Those courses include Prestwick Country Club, Tidewater Golf & Plantation and The Dunes Golf and Beach Club. And even though last years unusual weather conditions led to course weather damage, rare in a region with an average temperature of 72.2 degrees; important changes have been made in an effort to avoid those same problems caused by last years weather conditions. Tradition and Pinehills have replaced their Tifdwarf Bermuda greens with ultradwarf Bermudagrass. Fescue grass was added in areas of rough at Myrtlewood to complement the existing mounding. Glen Dornoch replaced Champion ultradwarf Bermuda greens in place of its old TifDwarf. 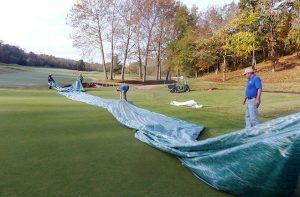 Grand Dunes, Kings North, TPC, World Tour, Pawleys Plantation have invested in covers to protect greens from extreme cold. Panther’s Run updated course greens from MiniVerde to TifEagle ultradwarf Bermuda. Play your next “Golf Package” with confidence. We not only have the best rates but also will guarantee updated course status and conditions. Let us do the work so you can enjoy the perfect golf trip. Place Description: Top Myrtle Beach Courses that have invested in major updates to prevent any weather related issues. 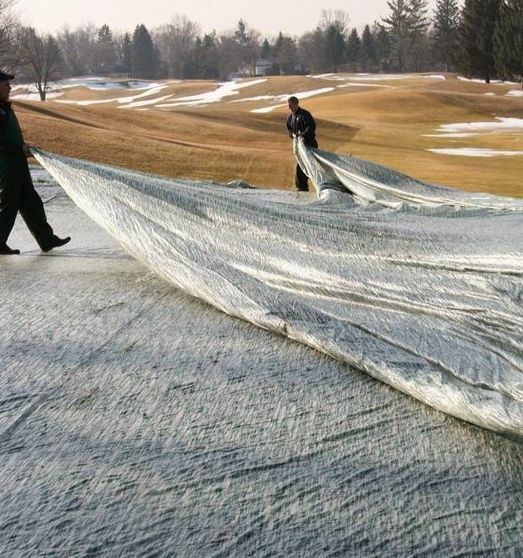 It is good to hear that these courses have invested in covers. We played Kings North last week and I have to say it was in much better condition than when we played it last April. We booked Farmstead and Rivers Edge in April this year. We booked Grand Dunes last year and it was pretty disappointing so good to hear they are investing in measures to address unfortunate weather conditions. Yes they has done some nice renovations to the Aberdeen Club house. Get more information here. I heard Aberdeen golf club just made changes to there club house and reopening soon. Thanks for the update. We are aren’t sure whether we are traveling to AZ or Myrtle Beach this year. We had played legends courses last year and it was a disaster. And I heard that they haven’t done any of these updates you should put that in the Article. The customer service at the legend was the worst – they should have been better given the situations but we will consider other packages. I do like the area and it has great restaurants, ect. and there are a lot of courses.